Add zucchini flour, cinnamon, baking soda, salt, baking powder, chopped nuts to above mixture. Stir until well blended. Pour 1/2 of the batter into each of the loaf pans and bake on middle rack for 1 hour. Test with toothpick or cake tester. 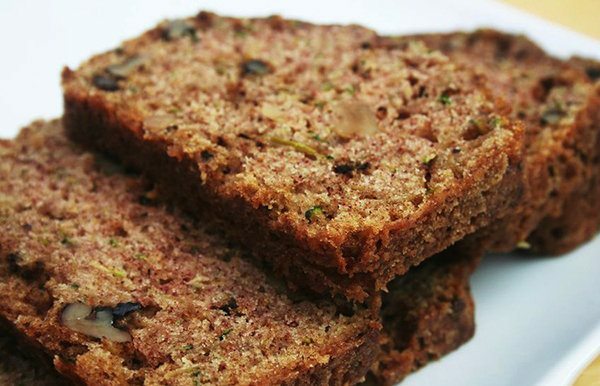 It will come out clean without any batter sticking to it when zucchini bread is ready to come out of the oven.